GHANA – In certain cultures around the world selling one’s child for slave labor is commonplace. In southeast Ghana, thousands of children work every day on Lake Volta, executing dangerous tasks for their masters while being treated poorly. 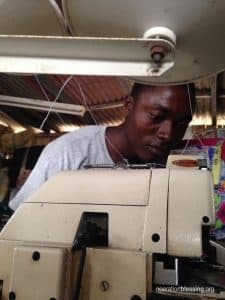 Beginning as a young child, Samuel worked on Lake Volta for two different masters over nine years; he was trafficked twice by his mother, first to extended family then to someone he didn’t know. Samuel was an older laborer, and therefore oversaw younger children on his fishing boat. His work oftentimes began at dawn and didn’t end until well after dusk. “Life was difficult for us,” Samuel said. However, his masters had warned him that organizations that try to help children escape from Lake Volta were harmful, and that only the masters’ promises—which were rarely, if ever, fulfilled—were true. When Challenging Heights, an Operation Blessing partner and rescue organization, showed up to rescue and rehabilitate Samuel, he was skeptical of their promise to help. Eventually, Samuel joined Challenging Heights, though questions remained in his mind. He wondered if Challenging Heights was as harmful as his master had said, or if they could really help change his life. Soon after Samuel arrived at the Hovde House Rehabilitation Shelter, he spoke to other residents and staff, and realized that he had been trafficked into child slave labor. Attending school for the first time, Samuel began to dream again of things he might do with his future now that he knew it was no longer tied to a boat on Lake Volta. Samuel is now working for a new master, but this one is patient and kind. 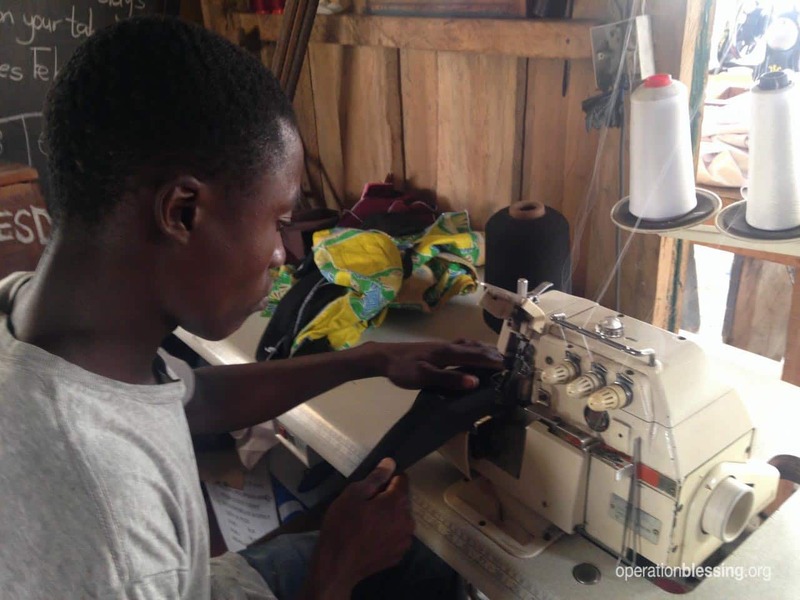 Master Bonney is teaching Samuel the art of tailoring; he is used to children with no formal education and therefore makes his students feel empowered as they learn how to function in this new life. 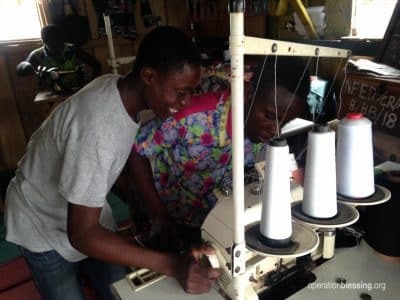 As Samuel sews together new dreams for the future, his heart remains with his friends who are still enslaved on Lake Volta. Samuel credits Challenging Heights for “giving him life” and he looks forward to helping others as he was helped. Over the next four years, Samuel will himself become a master tailor. He hopes to increase his skills, open his own shop and build his resources so that he might be able to rescue some of Lake Volta’s enslaved children. Samuel is one of dozens of children rescued from Lake Volta by Challenging Heights each year. The trafficking-centered aid organization has a shelter where they rehabilitate children to be able to function as free members of society. By providing rescued children the opportunity to imagine a new future, along with the resources to achieve their goals, Samuel and others like him have hope that there is more to life than being forced to fish.